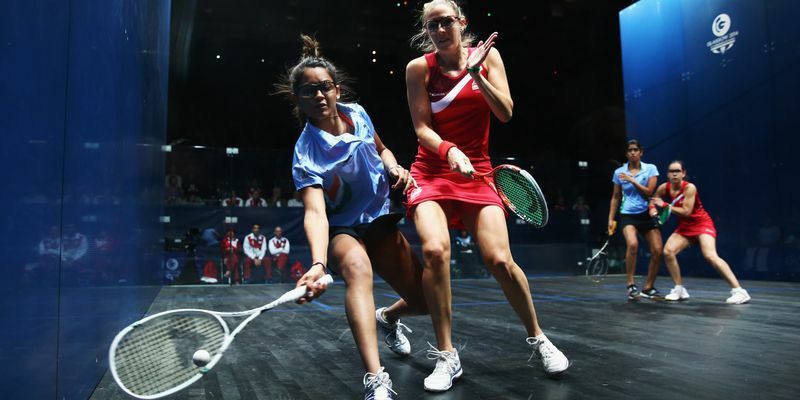 Indian squash player Joshna Chinappa is out of the Carol Weymuller Open squash tournament after losing her quarter-final game on Saturday. Eighth seeded - Chinappa lost to the top seed player from Egypt Nour El Tayeb in the match that went for almost half an hour in New York. India's top woman player Chinappa went down to the top seed Nour El Tayeb in the quarterfinal of the Carol Weymuller Open, a PSA event in New York on Saturday. The Egyptian won 11-4, 4-11, 11-3, 11-2, the match lasting just a minute past the half hour. Seeded eight, Joshna had begun well but after taking the second game to level the game scores she found all routes to further progress stopped by her famed opponent. Joshna had a 1-2 head-to-head score over Nour but that could not be levelled off because the Egyptian was far too superior in her control over the ball. While the Indian was quick to pounce on opportunities, Nour was adept in keeping her rival at bay most times with her shrewd angle of returns. Earlier this year, Chinappa had qualified for the third round of another prestigious event in world squash - US Open.